Amabile School of Music offers music programs for students of age 4 and above at any level. Please click on the links below to find out more details! As enrolled students, Amabile offers tons of incentives such as frequent performance opportunities, unique award system & affordable room rentals! Amabile students are given a performance opportunity at least once every two months. 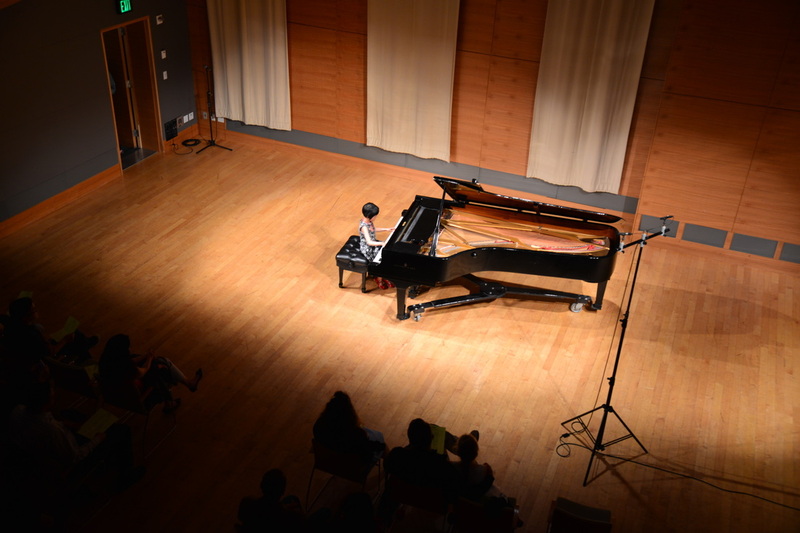 Every Winter & Summer, two formal student recitals are held at the San Francisco Conservatory of Music for our students and faculty. Recital participation is encouraged to all of our enrolled students but not required. Amabile believes in the frequent performance opportunities will assist children and motivate them to rise above the challenge, and to gain tremendous experience in stage presence at an early age. Additionally, local outreach performances are held 2~3 times a year for further chances for students to perform at the local hospitals and senior homes. Both events are exclusive opportunities for your children to perform and shine on stage, and to share the joy of music with their families, friends, and other music lovers. Our wonderful teachers hold occasional studio classes for our students on-site for exam preparations and for students to gain performance experiences. We are the only music school in San Francisco that gives their students the opportunity to earn special color wristband bracelets, trophies AND certificates for passing musical tests. It is a unique, patent pending award system that includes 13 different levels of full color “Musical Ladder” wristbands and can only be found here at Amabile School of Music. All of your wristbands, trophies, certificates and online accounts are all FREE as part of your tuition at Amabile and being an enrolled student. ​If you don’t have a piano or a space to practice at home at first, we offer our enrolled students a special rental price at $8~$10 per hour for practicing during our school hours. Subject to availability. Prior reservation is required. Please contact us at (415) 682-7738 for more details.